TrueCoach is a web-based personal trainer platform designed for fitness trainers, coaches and physical therapists to track clients' workouts and monitor training progress. It offers robust tools for designing complete training programs that can be shared with clients in daily or weekly modules. The solution helps physical trainers to streamline administrative works and manage client communications efficiently. through different channels - daily, at a fixed time. The robust visualization tool allows trainers to monitor daily workout activities of clients on a progress tracker and helps in tracking their progress over time. TrueCoach can also be used by clients to log workout and post-workout details or diet-related questions to trainers; watch exercise videos embedded in emails; as well as record their workout history. Real-time messaging features allow clients to chat directly with trainers through the application itself. The solution can be configured and custom branded, with users able to set rules for notification, communication and information sharing. A central exercise library in TrueCoach contains a number of pre-built workout templates that can be used by trainers to design workout programs. Trainers can also create and save their own, detailed workout plans. Other features include nutrition tracking, client management, and mobile web accessibility. Our team loves TrueCoach. Other platforms I've used, especially in the functional fitness realm, can be limiting to certain types or styles of workouts. If I can dream it up, I can program it in TrueCoach. TrueCoach has greatly opened up our ability to remote coach effectively. It allows us to have a higher level of communication and connection with our off-site AND on-site clients through its multiple touchpoints from workout results, to comments, to chat features.Go beyond simply assigning sets and reps. The more freeform style of TrueCoach allows you to program more complex pieces and add nuance while still providing great organization of training cycles, weeks and individual workouts. I would love to see where they can go with the metrics tracking but it's already come a long way in the two years I've been using the software. TC seems to really listen to the coaches using the platform and continue to upgrade and innovate to improve the efficiency and experience of programming workouts. The addition of an iPhone app also greatly improved my client's experience by making it even easier to access workouts, communicate via message, access movement demo videos and smoothly upload their videos for me to review. Go beyond simply assigning sets and reps. The more freeform style of TrueCoach allows you to program more complex pieces and add nuance while still providing great organization of training cycles, weeks and individual workouts. I would love to see where they can go with the metrics tracking but it's already come a long way in the two years I've been using the software. TC seems to really listen to the coaches using the platform and continue to upgrade and innovate to improve the efficiency and experience of programming workouts. The addition of an iPhone app also greatly improved my client's experience by making it even easier to access workouts, communicate via message, access movement demo videos and smoothly upload their videos for me to review. saved time improved communication multimedia playing is easy = we can create, share, upload, download videos so easily, communications with clients are easy. You guys are so quick to implement stuff. The ''print'' button took 5 days to be alive. I always need to program on my comp and I notice my sight is getting poorer. Lol That would be awesome to wanna see my clients day of training on the same page, so trainers on floor would be able, on a glance, to know who does what today walking around the gym. But that's really because this field can't be left blank. Also, maybe sharing workouts online on the socials would be cool. I could tag my friend on FB or IG saying : hey bro! Look at my PR, my video, etc. Then you add your fitbot logo and you are all over the place. (I'll take 10% for the idea :P ), then those comments you appear in the comments sections of the socials AND Fitbot. maybe sending automatic emails to clients that show up maybe sync some info of Zen planner/other software with Fitbot ?! maybe integrate a superslow to the video API? Maybe add a dropbox feature in each client profile, so i could modify docs on the spot easily AND take photos in png format and do my consults follow ups. maybe add a program design planification sheet option into each clients profile so we can get estimates of ''how long before client X increase X mvt/workout'' (if you need more info on that let me know I'll explain). you guys are awesome. There are so many positives and very few negatives. And even the so called negatives are very minor inconveniences that just take a little bit of time to work around. I highly recommend to coaches who are looking to work with athletes remotely.There are so many pros. It's very easy to use and make adjustments on the fly. The ability to communicate what is expected, the clean look and presentation of the page. The ease of ability to communicate with the athletes through TrueCoach. I would like a video database. Say over a year a client uploads 50-100 videos. Instead of having to find them or download each one it would be great to just have a client video database, where I can see all the videos, and each also has a link that takes me to the workout it represents. I want an app for the coach for writing workouts on the go. Fortunately, I live a very boring life and am always home so I can typically respond to a client, change a workout on the fly, etc. However on the rare occasion, I go out, and a client needs something changed or just wants a workout that day, an app for the coach would make this much easier obviously. Build customized workout plans for each client using TrueCoach's workout templates and share with them via multiple channels. Automated email delivery allows trainers to schedule and send emails to their clients automatically. The real-time chat feature allows both clients and trainers to communicate with each other and exchange information. Robust data analytics capabilities allow trainers to visualize and analyze the workout activities of their clients and closely monitor their progress. Custom theming allows users to design and personalize their interface with interactive images and videos. Below are some frequently asked questions for TrueCoach. Q. What type of pricing plans does TrueCoach offer? Q. Who are the typical users of TrueCoach? Q. What languages does TrueCoach support? Q. Does TrueCoach support mobile devices? Q. Does TrueCoach offer an API? No, TrueCoach does not have an API available. Q. What other apps does TrueCoach integrate with? Q. 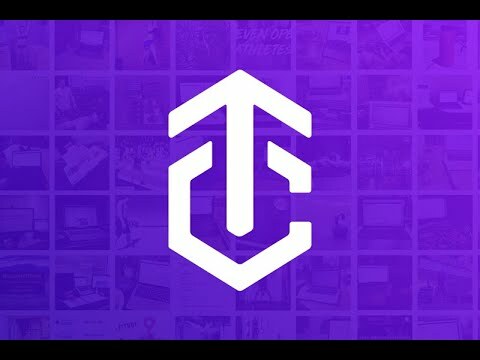 What level of support does TrueCoach offer?